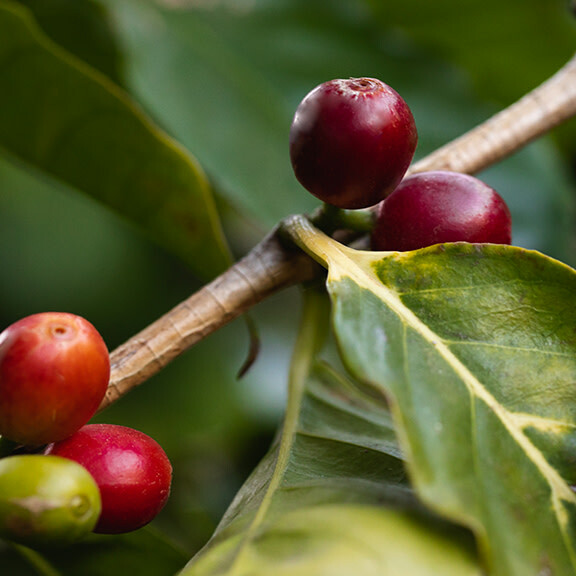 This single origin comprises coffee from twenty farmers who are dedicating themselves to organic methods in a region long defined by industrialized agriculture. Led by the indefatigable João Hamilton, the group has come together to open the brand-new Center for Excellence, an educational hub and processing center, where this very coffee was hand-blended by João. Not far from the Center is Fazenda Ambiental Fortaleza (FAF), the first farm in the area to spark sustainable farming practices in Brazil’s coffeelands. Little did FAF know, years ago, that its efforts would inspire a coffee like this, which is intensely sweet and aromatic. Our coffees go through a rigorous selection and quality-testing process, and we only share the coffees that have most captured our imaginations. Each bag of Brazil Caconde Serra do Cigano Valley whole beans is shipped to you within 24 hours of roasting from our Oakland roastery.